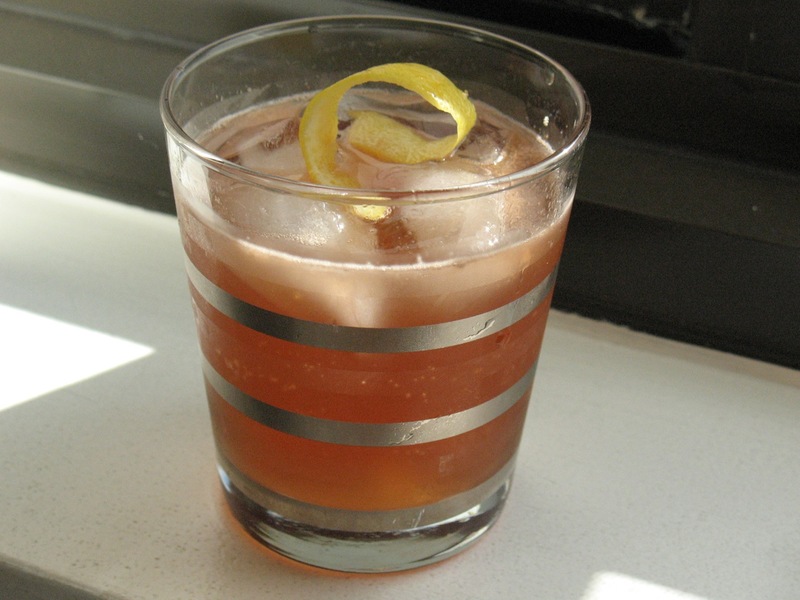 I don't often think of using vermouth in cocktails. I'm not a fan of the traditional martini (I wish I was, but I remind myself of this fact every time I try to make one). However, I had a non-martini cocktail at Palena recently that included dry vermouth and it was rather good. This is basically a negroni made with dry vermouth and some lemon juice. Chris helped me name it. Combine gin, vermouth, Aperol, lemon juice and bitters in a shaker with ice. Shake until cold. Strain into lowball glass with ice. Top with tonic water and lemon twist. Yes, we were sitting on the balcony drinking them and I asked you to come up with a name. Your response was "Everbody Loves a Gin Blossom," so there we are.